Over the years, literally thousands of marijuana strains have been discovered, bred and smoked. No strain is quite possibly more famous, more legendary, than White Widow. The origin of this strain remains a controversy to this day, though we can guarantee the original White Widow is a Dutch classic, grown for the first time in the Netherlands. The original White Widow was created with a pure Sativa land race from Brazil being pollinated by an Indica hybrid from southern India. This Indica hybrid, according to legend, was the result of years of selecting and breeding in the mountains of Kerala to produce high resin content marijuana plants. Since the original release back in the 90s, White Widow seeds have been spread all over, which has led to a variety of plants. Now every seed company will offer this legendary strain and Royal Queen Seeds is no different, providing this absolute classic in a feminized seed. 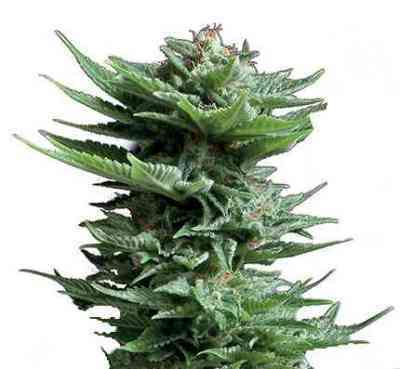 Royal Queen’s White Widow Feminized will grow to about 1 m tall indoors, reaching 2 m outside. It needs lots of sun but can be grown in colder climates such as France, UK and of course the Netherlands. 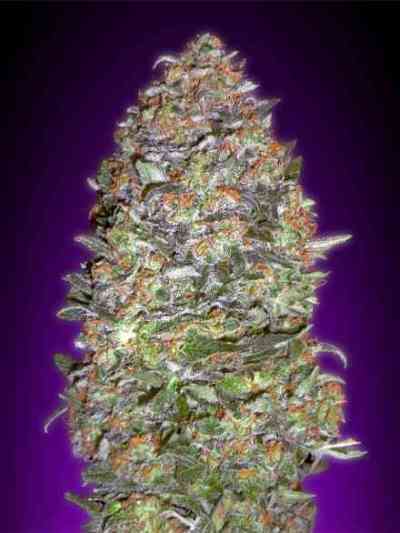 Grown inside, it can yield 55-65g per plant, or 450-500 g per square metre under a 600W light. Outdoors it can harvest over 550-600 g per plant and is suitable for the northern European climate, though it will produce better results in warmer environments. This White Widow Feminized will be finished flowering after 9 weeks and, with little maintenance required, it is a perfect plant for first-time growers. Such conditions are also suitable for growers who prefer a sea/screen of green operation. The effects from smoking White Widow Feminized are the characteristics of a Sativa dominant plant, giving the user a stellar psychedelic high. Smokers should feel this in their head with a full cerebral high coming from this marijuana strain. The taste is a clean, pine-fresh feeling with every hit followed, by a subtle citrus flavour when you exhale. Overall, this combination of cerebral head-high with a clean, fresh taste works to make this one of our most favourite classics available from us today.